I'm never one to go for birthday celebrations. But as I'm getting older, I'm beginning to realize the importance in appreciating the small things as well as celebrating achievements. So for my birthday, I wanted to take some time to do something for Me. 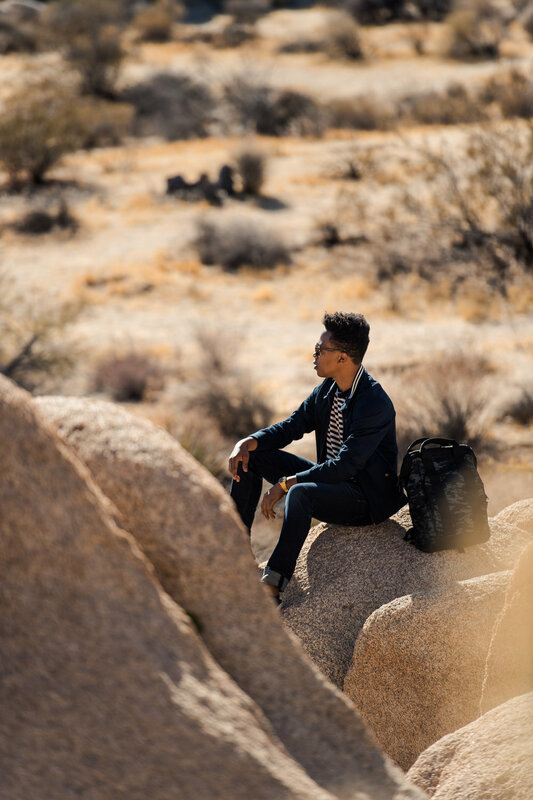 I've always wanted to visit Joshua Tree National park so it was the perfect opportunity for an excursion. And as you can see in these photos, it's simply amazing! With all the craziness happening all around, it felt good to escape for a moment of quiet. Spent all day exploring with my swissgear backpack loaded with snacks. This versatile backpack also features a grab handle that converts it into a convenient tote.